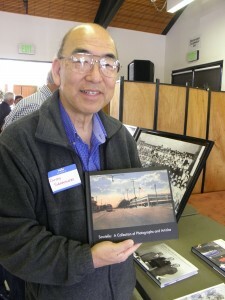 Randy Sakamoto has published several books about Sawtelle, also known as West Los Angeles’ Japantown, covering its history as well as recent events. But you won’t find the books in stores. There is a more comprehensive history, “Sawtelle: West Los Angeles’ Japantown” by Jack Fujimoto (Arcadia Publishing, 2007), that is available to the general public. But Sakamoto’s books focus on individual stories within that history and are aimed at a smaller audience. The store still exists, but under different management and a different name. The reunion was a great opportunity to get more information on old photos. 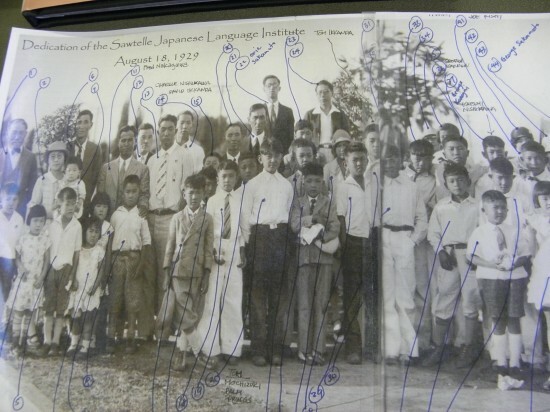 One was from the dedication of the Sawtelle Japanese Language Institute on Aug. 18, 1929. Others included Japanese school students in 1936 (from the Jim Shimizu collection), Sawtelle residents interned at Manzanar, sixth-grade students at Nora Sterry School in 1957, and a judo dojo in July 1961. 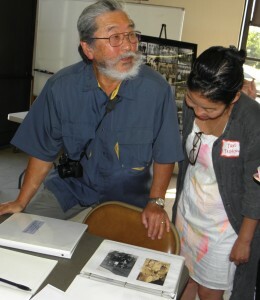 For one book, Sakamoto collected and organized photos taken in the 1950s and ’60s by Steve Yagi, a leader of the West Los Angeles JACL, using negatives and articles contributed by Yagi’s wife, Aki. “His wife is a good friend of my mother, so I made a copy and gave it to her,” Sakamoto said. 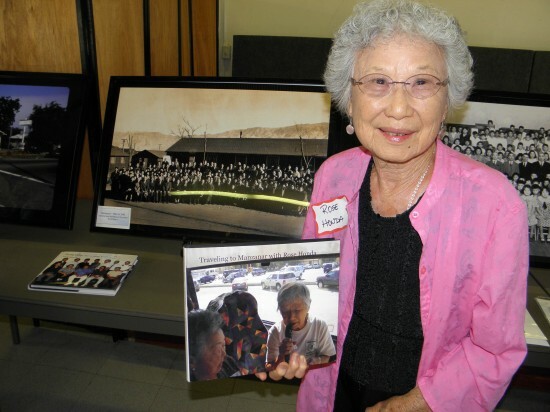 Another book is about trips to Manzanar organized by Rose Honda for members of WLAUMC in 2007, 2008 and 2009. “Going to Manzanar was a very arduous and difficult time for our parents and grandparents … The trips arranged by Rose were our opportunity to learn a little about the Japanese American relocation in 1942,” Sakamoto wrote in the introduction. 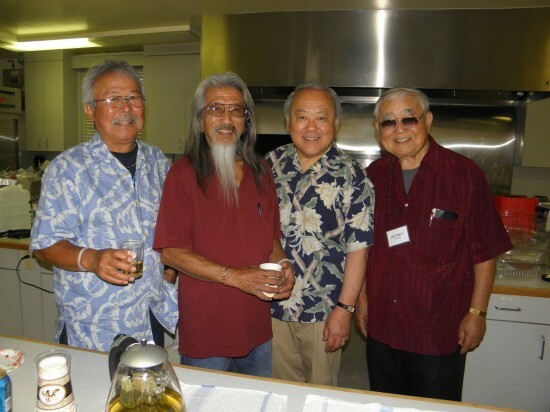 Honda was assisted by Mary Ishizuka, Fred and Sadie Hifumi, Otto and Eleanor Nakano, Stan and Stuart Shimotsu, Rev. Gail Nakamura Messner and Rev. Becky Hirata. “These books are generally not for sale. It’s just what I do and I give it to a friend or something like that,” Sakamoto said while holding a copy of “Sawtelle: A Collection of Photographs and Articles.” “Some people ask me for this book, so I just send them a link and they can order it themselves off the Internet … If I have the book all composed, I can upload it and offload it in 30 minutes, then it will be printed in five days, then it gets shipped to me, so within 14 days I have a book. Corrected. Sorry, didn’t mean to “age” you. Thank you, great story and wonderful pictures. They are very current! thank you for keeping the memories of our awesome neighbor hood alive. My family ran Russell’s Service. At 2004 Sawtelle Blvd.